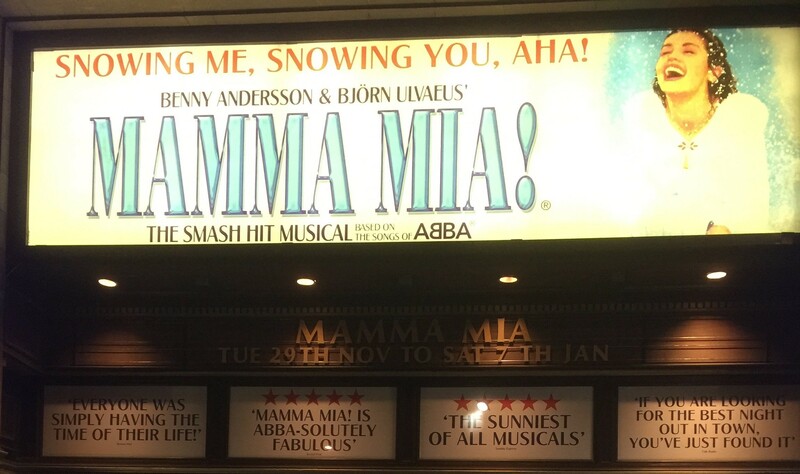 The smash hit musical Mama Mia! opened last night at the Playhouse in Edinburgh. The show, which features some of Abba’s most popular hits, will run until the 7th January 2017. The show first opened in London’s West End in 1999 and an estimated 60 million people have seen it so far. To ensure that the show received a proper Scottish welcome back to Edinburgh, Reel Time arranged for piper Ross McCrindle to entertain the press as they arrived for the press launch. Mama Mia! 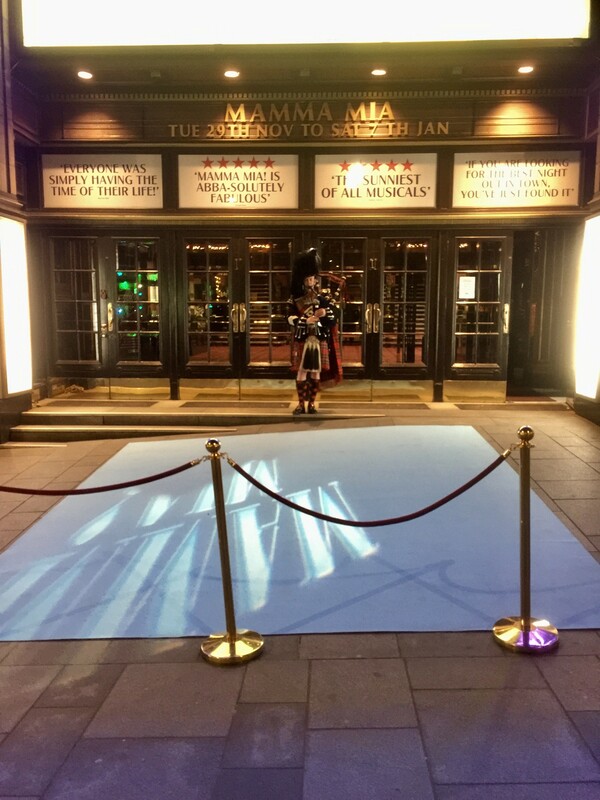 is at the Edinburgh Playhouse until 7th January 2017, and Reel Time pipers can be arranged by contacting our office.